THE biggest victims of the palm oil crisis are mostly the rural people — the government linked companies and agencies appear not to be doing enough to find a solution to the crisis. We have been too defensive and fighting a losing war with the West. It’s like David fighting Goliath, with the odds heavily stacked against us. Many officials and industry players seem to be relying on luck and hoping for natural factors like weather and weaker demands for competitor oils. The recent offer by China to buy our palm oil stockpile for this year of 4.7 million tonnes is good news, but it is only a temporary reprieve to buy us some time to get our act together. In a free market economy, we cannot be too dependent on a major importer to buy up our stockpiles. Malaysia is now desperately fighting to avert the European Union’s (EU) palm oil curbs with the emphasis on safeguarding the “lowest hanging fruit” of palm oil usage — biodiesel — because other oils, except rapeseed, are not price competitive yet. The EU is now trying to block the last major advantage that palm oil has (price) for its use in biodiesel by imposing all kinds of bans and restrictions. Let’s look briefly at the past on how we have gotten to this precarious position today. The attacks against palm oil started in the eighties, focusing on what the West claimed was the negative health aspects of palm oil used for food such as causing heart disease.The smear campaign against palm oil was engineered by its major competitor which ran a vicious and dishonest campaign to discredit our valuable commodity. Our industry and agencies concerned responded well with strong scientific evidence to dispel the health allegations and misinformation against palm oil. Then came the “political” attacks on palm oil use as the cause of deforestation here (contributing to climate change or global warming) and the destruction of biodiversity, especially the orangutan and their habitat. Our response to the attacks on the environmental aspect has been pathetic. Many of the critics and opponents of palm oil in the West, including non-governmental organisation (NGOs), probably secretly funded by our competitors, have not even set foot in Malaysia or Indonesia or know little about the science of environment, yet they speak like experts. Climate change is caused by too much carbon dioxide (CO2) in the atmosphere which, reportedly according to the West, is the largest polluter. A virgin forest has no net growth on carbon absorption. Growing oil palm would absorb more CO2 and fix more carbon from the atmosphere than growing other crops, for example soybeans and rapeseed. The critics alleged that clearing the land for oil palm plantations contribute to CO2 to the atmosphere because many people are resorting to open burning. But open burning is illegal and hardly happens in Malaysia and, if it does, it is more a question of enforcement then. Again, the biodiversity allegations are often not based on facts. Many of the oil palm plantations are quite well integrated with neighbouring forests and shrubs and have a lot more biodiversity than the fields used for growing competitors’ crops. The “cute orangutan” was cleverly and emotionally exploited by our opponents in the West using slick advertisements and videos to demonise palm oil. Sure, such creatures can be better protected and there should be severe penalties and better enforcement on the protection of our biodiversity. If the West can help us constructively without charging an “arm and a leg” for their services and offer relevant technologies (such as those in surveillance), please do so. Stop being so condescending on how we can conserve our environment. The first tactical blunder made by our industry here was to unconditionally accept eco-certification (by Roundtable on Sustainable Palm Oil or RSPO, dictated by biased NGOs in the West) on palm oil, when there were no similar requirements demanded on the use of other oils. This is double standards. Eco-certification is not wrong per se but it must protect the interests of our industry and be under our control. It must not be used as political blackmail. 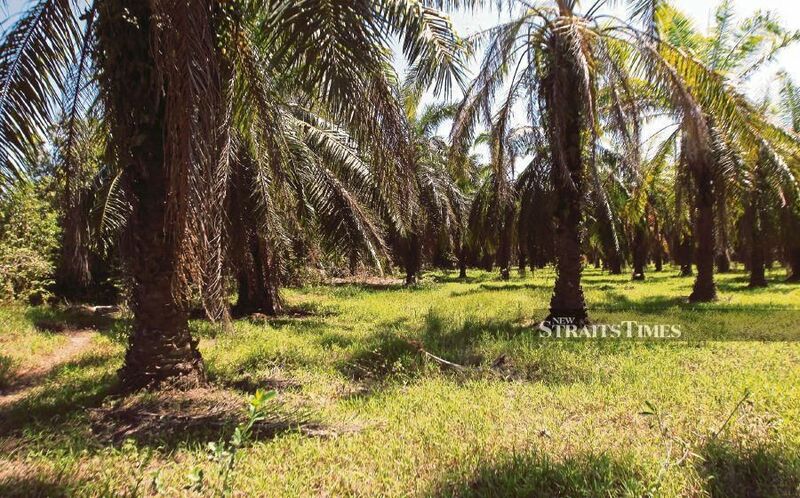 We have suddenly realised the need to come out with our country’s own certification — Malaysian Sustainable Palm Oil (MSPO) — under our control but the big plantations are afraid to use it for fear of retaliation from the West, including the NGOs there. We have lost too much ground here. It is also unfair to stereotype that Third World countries are a nation of stupid and self-destructive people, that we are unable to manage our forests and plantations sustainably. As colonies, developing countries were first exploited fully for their human and natural resources. When we became independent, the former colonial powers are now trying to use all kinds of tricks to block market access to our products on grounds of health, environment and what-have-yous. This is neo-colonialism and neo-racism at work, using distortions and half-truths of social issues to deny us the right to compete freely and fairly on a level playing field in the new global order. We must turn the table around and fight them hard with a comprehensive strategy which would expose their double standards, hypocrisy and racism.